Ukraine's Constitutional Court has ruled constitutional a draft law initiated by President Petro Poroshenko that would remove immunity from prosecution from parliament lawmakers starting in 2020. According to the ruling, the court deems that the measure complies with Part 2 of Article 157 of Ukraine's Constitution. 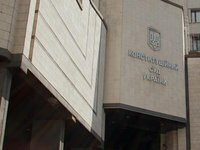 At the same time, the Constitutional Court considers it appropriate to draw attention to the fact that when deciding on the abolition of parliamentary immunity, it is necessary to take into account the state of the political and legal system of Ukraine - its ability, in the event of a complete absence of the institution of parliamentary immunity, to ensure unhindered and effective implementation of its powers by people's deputies of Ukraine, functioning of the parliament, as well as the implementation of the constitutional principle of separation of powers.